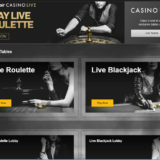 Celtic Casino have launched their annual Live Dealer Tournament. 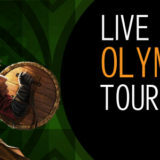 Known as the Olympians Tournament it runs from the 1st June 2016 through to the end of September 2016. There are 25 cash prizes available to be won each month, with a top prize of €2,500 down to €50 for 25th place. 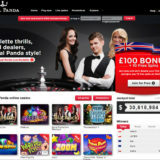 You earn points for each € of real money wagered on Live Casino games. Each month a different game is nominated for the tournament, so if you’re a Blackjack player, then one month will be devoted to Live Blackjack. June 1st through June 30th – All Live Games. July 1st through July 31st – Live Blackjack. August 1st through August 31st – Live Roulette. September 1st through September 30th – All Live Games. Now for the small print. For every €1 wagered, 1 point will be awarded in the tournament. 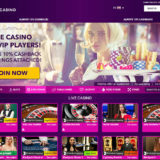 Bonus funds wagered qualify for tournament points yet wagering requirements are applicable and must be completed prior from withdrawing cash prizes if ranked on the top 25. No limit to the amount of deposits, withdrawals or winnings. All bonuses are subject to standard terms and conditions.